wlp9s0    IEEE 802.11  ESSID:"HTC Portable Hotspot 4AEF"
enp5s0    Interface doesn't support scanning. have replaced the adapters name . since it is RTL8111/8168/8411 and adding "/" with conf file cretes problems I chose a name with out "/"
I did as advised, though for 18.04 but since the kernel version was same , I gave a try , didnt work ! Your 1-day test in Win7 may be inconclusive. The Windows 7 driver may "drive" the wireless card differently than the Linux driver. If the Windows driver doesn't stress the wireless card in the same way, you may not see the wireless card drop off as quickly. If testing the card from Windows, I'd running it a couple days. A better test would be using an older version of Ubuntu that you have used in the past without trouble. Don't trust the Dell diagnostic either. If their diagnostic passed, that just means that the card was functioning when they ran the diagnostic. If an electrical component on the card is malfunctioning, it may work fine after a reboot, like my friend's did, but only for a time. I had a friend that was experiencing similar issues on a Windows laptop (and using an Ubuntu LiveUSB on the same machine). My friend's card would pass diagnostic tests too because they could only be run after a reboot when the card was working. I replaced my friend's wireless card, and all of his problems went away. From what I can tell online, it looks like your wireless card provides WiFi and Bluetooth. If the Bluetooth also stops working at the same time as the WiFi, it's more than likely that your wireless card is faulty. Ignore the options you've already tried. I've only included them for the sake of anyone else who might stumble upon this post looking for answers. 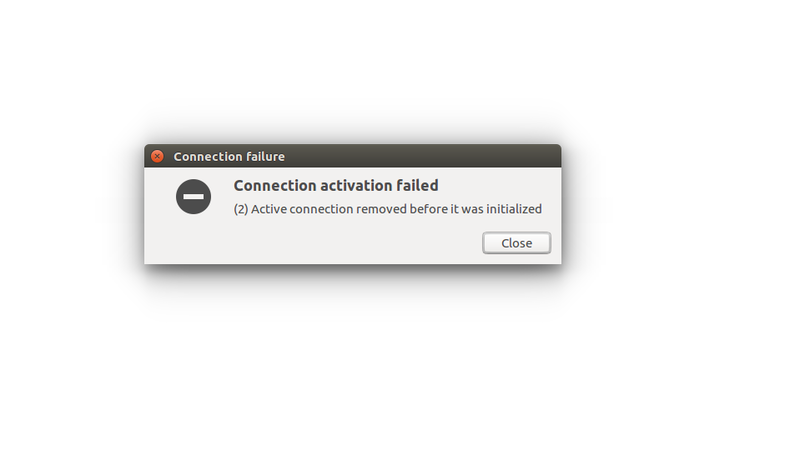 Download an old version of Ubuntu that you know the WiFi had no issues with (12.04?) and see if your WiFi drops while running the LiveOS. If it does, your wireless card is most likely faulty and needs to be replaced. Clone your existing system. Then blow everything away with a Windows install and see if you experience the same issues in Windows. If you do, it's time to replace the internal WiFi card. Restore the cloned image. If you have a spare hard drive lying around, pull the one in your computer, and install the spare. Then install Windows and see if issue persists. If it does, it's time to replace the internal WiFi card. Don't test anything. Just open your computer and yank the wireless card. Buy a replacement with the same model number. They're usually pretty cheap. I paid less than $10 (in China) for my friend's replacement. Drop it in. If the problem goes away, then the old card was obviously faulty. If it persists, then you're out the price of the card. Finally, whether the internal card is faulty or it's a hardware incompatibility problem, you should be able to buy a USB WiFi dongle and use that. Most are compatible with Linux these days. Unfortunately, most low-profile USB WiFi dongles have weaker reception than your internal card and won't come with Bluetooth which your internal card may or may not provide. Your WiFi is left in an unstable state when it reboots. Here is a script to reset / power off and on all devices. You can first reboot and run the script from the command line using sudo reset-usb. If that fixes the problem you can have it run automatically during reboot. # DATE: August 17, 2018. Not the answer you're looking for? Browse other questions tagged 16.04 networking drivers wireless intel-wireless or ask your own question.